I used Gifts of the Earth item# 116501, this set is from our Holiday Mini. I really loved this set!! My base is Pumpkin Pie, I sponged the edges with Pumpkin Pie ink. Next was a piece of Crushed Curry, then Chocolate Chip. I cut a strip of Old Olive and punched out the edge with the Scallop Edge Punch in each scallop I punched out a hole to add a little more to it. I took some 1" Real Red Double Stitched Grosgrain Ribbon and placed that above the old olive strip. I placed two gold brads off to the right of the card. I cut a piece of Pumpkin Pie and Chocolate Chip card stock. I sponged the Pumpkin Pie card stock with Pumpkin Pie ink. I stamped the image in Basic Brown ink and then took a blender pen and colored the image in using Real Red, Crushed Curry, Old Olive, and Pumpkin Pie classic ink. Then taped the pieces together and put dimensionals on the back to pop it up. To finish off the card I took one of our Chocolate Chip corduroy buttons and ran some natural hemp through, the stuck it on the ribbon with the Glue dot. 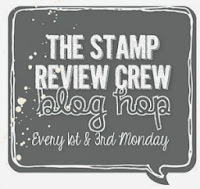 Remember the Corduroy Buttons are part of this weeks special from Stampin' Up!!! You'll want to order them before they run out!!!! Its a fantastic deal for more info click HERE. Have a great day! Thanks for stopping in! Good morning everyone! Welcome to my to my blog! This morning I am sharing another card I made for a swap! The Stamp Set I am using is from the Holiday Mini and it is called Gifts of the Earth item #116501 and I also used some of the New Designer Series Paper called Autumn Meadows item # 116769. I love this set and the paper!!! Can you tell? lol I kept this one very simple too. My base is Very Vanilla, then Really Rust which I punched out all 4 corners with the ticket punch. Then I added the strip of DSP Autumn Meadows and wrapped 1/4 Very Vanilla Grosgrain Ribbon around it. I stamped the Turkey from Gifts of the Earth in Chocolate Chip classic ink on Very Vanilla card stock and then layered that on Chocolate Chip card stock. I placed dimensionals on the back and then set it off to the left over the ribbon. You'll notice in the bottom right hand corner I stamped the saying from Gifts of the Earth in Chocolate Chip classic ink. Very simple and easy card to remake if you need a bunch! Acc.~ Ticket Punch, 1/4 Very Vanilla Grosgrain ribbon. Good morning everyone! Welcome to my to my blog! This morning I am sharing a card I made for a swap! I am using some new product from the Holiday Mini Catalog! The Stamp Set I am using is from the Holiday Mini and it is called Gifts of the Earth item #116501 and I also used some of the New Designer Series Paper called Autumn Meadows item # 116769. I love this set and the paper!!! My base is Taken with Teal, next layer is Really Rust, I added a strip of Chocolate Chip with Autumn Meadows DSP you'll notice I added two Antique Brass jumbo eyelets on the side. For the center I used Taken with Teal, More Mustard a piece of Autumn Meadows DSP which I sponged Chocolate Chip ink around the edges and the wrapped 1/4 Chocolate Chip Grosgrain Ribbon around it. At the bottom I stamped the saying from Gifts of the Earth in Chocolate Chip classic ink. I cut a piece of Very Vanilla card stock, stamped the image from Gifts of the Earth Stamp Set. You'll notice there is two colors I stamped it in Chocolate Chip and then in Really Rust this is called the Rock n Roll Technique I love this Technique! I then sponged More Mustard Classic Ink around the edges snailed it to a piece of Really Rust card stock and then added a Earth Elements Brad in the left hand corner. Then placed it on dimensionals above my saying. I love these colors they are not colors I would normally pick!